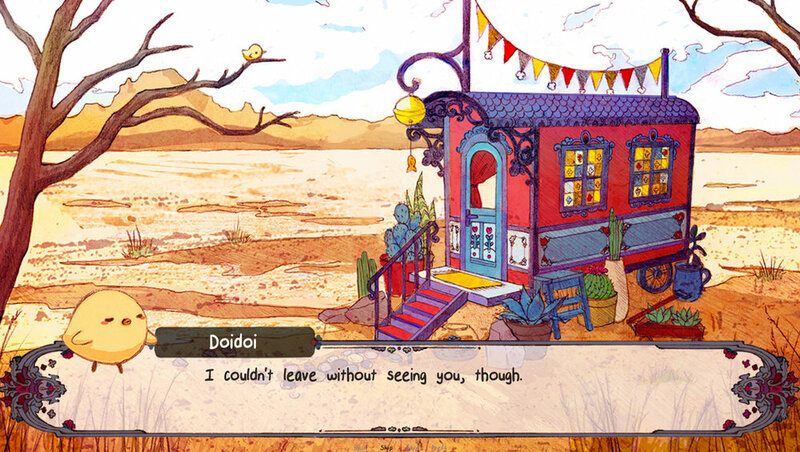 In this visual novel, a rabbit from Earth travels to meet the rabbit on the moon referenced in classic fairy tales. 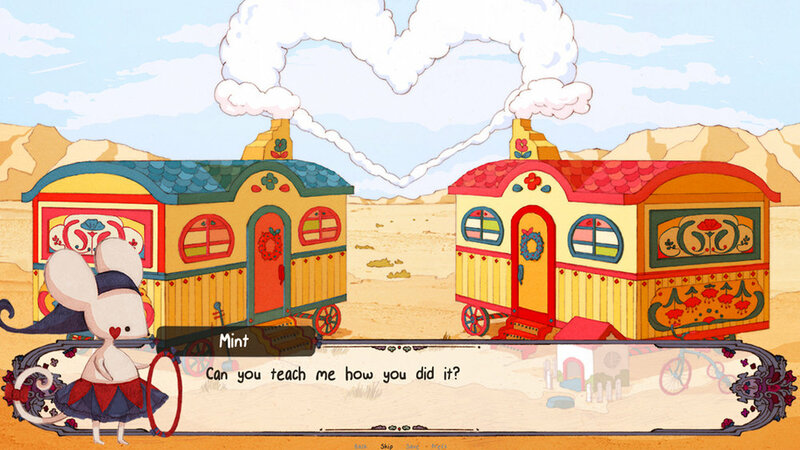 As Mitzi sets out from her caravan in the desert, she must say goodbye to her fellow circus troupe performers. Gifts collected from her friends will aid her as she crosses the desert on her way to the sky. Perhaps she'll find out if the legends about the lunar rabbit are true. Branching paths with multiple endings. Decisions affect the fulfillment of Mitzi’s quest, where she goes, and who she meets. Hand-drawn locations, with colorful daytime circus themes and peaceful night scenery. Unique characters to discover, ranging from the eccentric and ambiguous to the gentle and endearing. TBA for PC, Mac, and Linux.